Coinbase announced today that it has raised $75 million in Series C financing, which represents the largest venture capital round to date for a Bitcoin firm. Coinbase said the round brings its total capital raised to $106 million. The Series C round was led by DFJ Growth, with participation from Coinbase’s existing investors, which include Andreessen Horowitz, Ribbit Capital, and Union Square Ventures. Other investors in this round included the New York Stock Exchange, the United Services Automobile Association, and BBVA, a large multinational bank. Coinbase said this marks the first time that financial institutions have made a significant investment in a Bitcoin firm. The company also received personal investments from former Citigroup CEO Vikram Pandit and former Thomson Reuters CEO Tom Glocer. The Series C round included participation from a number of other strategic partners, who, Coinbase said, will advance its international expansion, including NTT DoCoMo, Japan’s largest mobile telecommunications operator. In its report on the funding round, the New York Times said the announcement could not have come at a better time for Bitcoin, whose price has dropped in recent months. 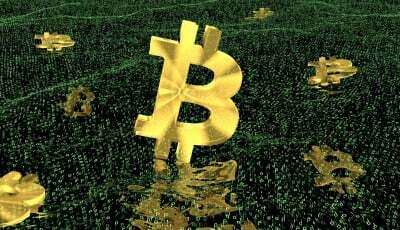 The newspaper said Bitcoin proponents might seize upon the Coinbase’s latest venture capital round as a vote of confidence in Bitcoin and its underlying technology. “If we thought there was a huge risk of Bitcoin going away, we obviously wouldn’t have made this investment,” said Barry Schuler, a managing director at DFJ Growth, to the Times. The Times said that for now, Coinbase’s business model seems to depend heavily on people wishing to purchase, sell, and hold Bitcoin. The company plans to expand to more nations, hoping to extend access to 30 by the end of 2015, as well as bring on more merchants. The Times said Coinbase also plans to improve its platform for developers and enhance its mobile technology. The company now hosts 2.1 million consumer wallets, an increase from 600,000 at the end of 2013. Coinbase said 38,000 merchants use its payment tools. Schuler told the Times that Coinbase’s ties to Bitcoin as a currency, which so far has been its most accessible use case, is part of the company’s appeal.